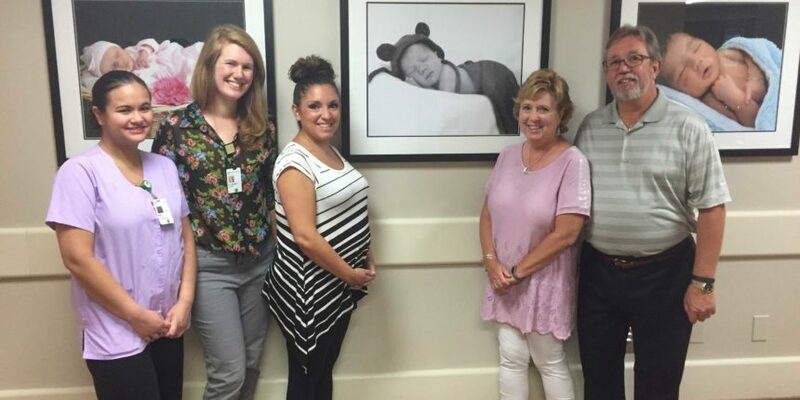 Jaye Fontaine and her husband, David, generously donated three framed photographs to Charlton Memorial Hospital’s Family Centered Unit. The photos are of newborns delivered at Charlton Memorial. Jaye, who worked at Southcoast Health for 39 years, most recently serving as the Director of Women’s Health for Charlton and Tobey Hospital, said the donation of the photos was to honor the staff and all that they accomplish each day. The photos were taken by WelcomeNewborn, a photography company that is on site at both Charlton Memorial and St. Luke’s Hospital and offers its services to new parents.